On 23 June, resilience in the face of Climate Change was in the spotlight with United Nations Development Programme (UNDP) Pacific Office Country Director, and Head of Pacific Regional Programme and Policy, Mr Bakhodir Burkhanov, giving presentations in support of this key global issue as part of European Climate Diplomacy Week. 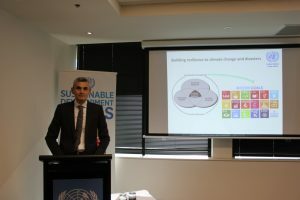 Titled UN in the Pacific; working together to build resilience and reduce vulnerabilities, Mr Burkhanov’s presentation raised this key global issue with the Diplomatic Corps at the UNIC Canberra Office, and again with the academic community in an address at the Australian National University. Mr Burkhanov discussed building resistance to climate change and natural disasters, and resilience from a Sustainable Development Goals (SDG) perspective, examining how this might drive sustainable development more broadly. 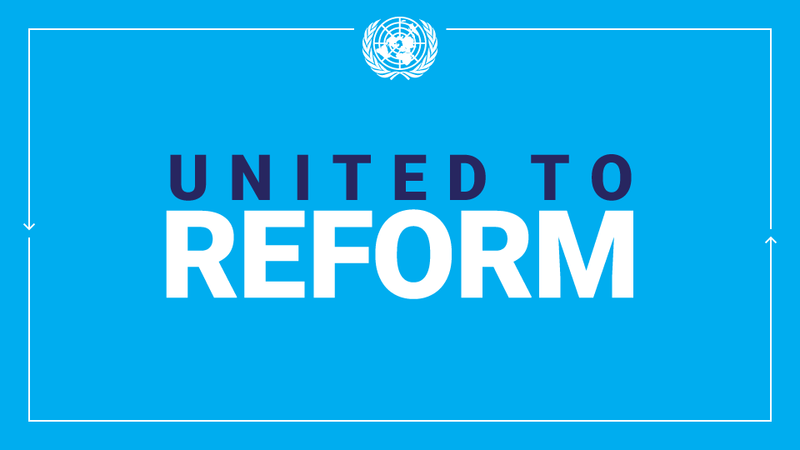 He also spoke about how action to adapt to climate change, manage disaster risk, and reduction in development-related carbon footprint all work towards the broader goals of sustainable development and poverty reduction.